Let’s start with the fact – Android is not Linux! Yes, it’s true that the kernel that Android is using is based on Linux kernel, but it is not at all mainline. The top layers are hugely different too, specifically the userland part. Thus if you’re planning to try out an updated kernel in your slightly older phone, you’re pretty much out of luck. There is another issue about GPL compliance. Due to the licensing, phone makers (OEMs) are bound to release the kernel sources of their phones, but often there are tremendous delays or no release altogether. Profit hunters seldom think about public shaming! 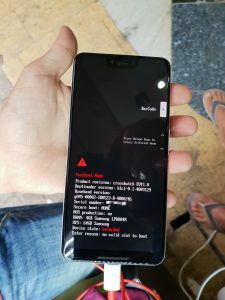 But look at the bright sides: if your phone comes with an unlockable bootloader and an officially released kernel source, you can still tinker with it. Possibly underclock the processor to get little extra battery juice, add new filesystem support to access your Windows PC, bring advanced color controls – you just name it! Francisco Franco (not the dictator!) or franciscofranco in XDA is a recognized developer in Android tweaking community. His contributions towards kernel development have already made a brand of FrancoKernel with huge followers. 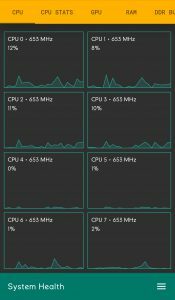 FrancoKernel is known for its hugely optimised idle power consumption, various performance profiles and last-but-not-least “No crap placebo patches”. Many of the popular Qualcomm based phones & tablets are supported by Franco, starting from the legendary Google Nexus 5 to new age beast Xiaomi Pocophone F1. Today’s big news is the arrival of the new website of FrancoKernel (francokernel.app). Dubbed as “portal” for all supported devices, users now can easily track the development for their device(s), see the changelogs and download updated packages directly on the phone. I’d like to share with you the new “portal” to find FrancoKernel for your device/android version and changelogs. Also it includes instructions on how to flash it, either from my app or manually through a custom recovery. 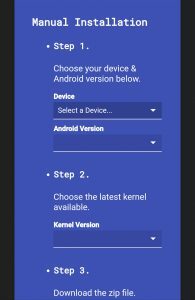 The FK Kernel Manager is still at large and is the most user friendly way to download & flash kernel updates from phone or fine tune various parameters of the kernel (root support needed). The new website, on the other hand, serves as a replacement of the old h5ai powered index. It is also helpful for users rocking multiple supported devices and prefer to track them via web interface from PC. The work was originally started by Jackson Hayes / @jacksonhvisuals and polished with finishing touches by James Fenn / @fennifith. You can reach out to Francisco via Google+ (the clock is ticking though), Twitter or XDA. Have you experienced the “Magical support” from Franco with his custom kernels before? Or want to dive into the world of root, kernels, mods for first time? Let us know by commenting below.